Am I weird for being about the only knitter out there who isn't knitting/preparing to knit/has already knit Clapotis? I feel odd. I have liked some of the ones I've seen, but in terms of shawls, I'm still waiting on doing the flower basket shawl from IK once I get through some of my current projects. I also really really like the AbFab Colinette Scallop shawl, but I don't have the funds for that, so I may just do a feather and fan shawl with my own yarn. 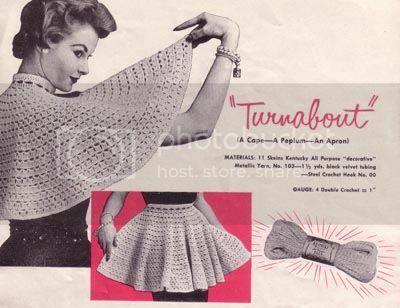 Does anyone have a good scalloped shawl pattern they know of? I went to Heidi's Pies last night with ervy, Nate, and NickChan. Mmmm... pie. Nothing beats 24 hour pie. I had banana cream. Ervy brought home a whole key-lime pie. Apparently I was supposed to ask nate if he was dating anyone since I ask him every time I see him. He expected me to ask, and I didn't even think about it. oops! He was quite excited to tell me that he could finally say, "yes, I have a girlfriend"
Hey does anyone know if I have to go to the post office to send a letter Airmail to Canada? Do I need a special Airmail stamp or can I just write the address on and put on the correct amt of postage? Once I realized I could keep track of my spot in a row with a little piece of yarn I moved after counting each repeat I knit, it really flew and I finished about 3/4 of it in a week. I dont' even know what claptois is. I have received mail from the U.S. without an airmail stamp - if that's any help. I started the clapotis (because of all the buzz around), but didn't feel the love at all. So now its sitting in a pile off the corner somewhere. I'm also itching to do a shawl but still looking for a pattern. I've sent stuff to Canada with just correct postage and written the word Canada in bold. You can probably just handwrite "Air Mail" on the envelope too. I'm not jumping on the Clapotis bandwagon either. And for a letter to Canada, just apply postage. No airmail stamp required. I've bought some yarn for Clap, but it hasn't made it to the top of the knitting list yet. BTW, I've seen some Hello Kitty stitch markers/shoe lace tags at the Target by my house. Hang tight and I'll see if they are still there. I'm so glad I'm not the only one who isn't ecstatic about Clapotis. Julie your FBS is beautiful! As is your kitty! Very inspiring! I can't believe you finished it so quickly! It's the current hip thing to knit in the knit blogging universe ;). Ooh thanks Lynette! Let me know. Thanks for the links Colette. I have contemplated the 1st one. The 2nd one is gorgeous! No you don't have to go to the post office to mail a letter to Canada or Australia or Europe as long as it's just a letter or card with no bumpy addiitons. For Canada I put four stamps on which may be over paying but my pen pals collect stamps. For Europe and Australia I stick on five stamps. I use regular plain white bussiness envelopes and write airmail on the envelope with a red marker. All have reached their destaination without postage due. I stick them in my mailbox at home and out postal lady pickes them up. Oh I forgot. No I'm not going to knit clapotis or any shawl for that matter. I thought clapotis was a scarf which I won't be knitting any time soon as well. I like sweaters mostly with the odd afgan every decade or so. I am one who doesn't really understand this clapotis craze. But yet I haven't been sucked into any craze yet. All I've been knitting are either patterns at least a few months old or from old books. I like the vintage photos on your blog. Are they just photos or you have the patterns as well? The capelet-turns-apron thing is cute, I think.